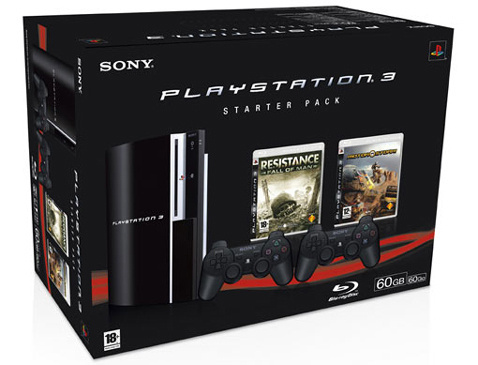 That European PS3 bundle deal rumour? The BBC just confirmed it, saying the "Starter Pack" will retail in the UK for £425 (same rrp as the current 60GB model), while adding that the deal constitutes £115 worth of savings. Which it would, were you planning on getting MotorStorm, Resistance and a second controller. If you weren't, well, you're not saving a penny. You're also getting stuck with a second controller that's soon to be outdated, which explains why they're being given away, and you're not getting the 80GB model. College ShameDay: Who Embarrassed Themselves On Saturday (Besides Texas)? anime 513 0 Who’s White and Who’s Japanese in Anime? Once Again, the Internet Compares.